What Is Your Fantasy Diabetes Device? Yeah! Or is it yay? Either way, yippee! I officially get to participate in The 3rd Annual Diabetes Blog Week. This means that I post everyday for a week about set topics that Karen from www.bittersweetdiabetes.com has come up with. The purpose is to share experiences that we have gone through by having diabetes or by caring for someone with diabetes. The Diabetic Online Community is so open and welcoming! I am so greatful for them! Thanks Karen! So, the today's topic is to Find a Friend. I would like to let you about one you may already know and one you probably don't know. Hope you enjoy! The first one is someone I just met on this past Friday and Saturday. Her name is Kerri Sparling and she writes a blog called www.sixuntilme.com. When I decided to put us on the internet and start writing this blog, I did some research! It was such exposure to the outside world and I wanted to do it for all the right reasons. My goal was to have other parents feel that there was someone else out there experiencing the same 24-7 vigilance over their child as I was. But, I remember looking at Kerri's blog specifically because she had 365 days full of pictures of diabetes. It was a photo diary of one year's worth of pictures of her diabetic days. When I started looking through the pics, I cried. I usually cry when I can feel someone else's pain. When I saw she used the same monitor we did and it had a low blood sugar number on it. I had seen that low number before when checking Rocco's blood sugar. I realized then that I must have felt the same disappointment in myself that she must of felt when she read that number. Only I was disappointed for my son and she for herself. I already knew I liked her just from the pictures. So, imagine my delight when I found out she was coming to speak at our local Juvenile Diabetes conference! Imagine my delight when I was invited to come the night before and meet her and speak one on one with her regarding our mutual experiences handling diabetes. When I saw her that night, I have to tell you I was a little nervous. I felt as awkward as if I were meeting Bono, Sting or Martha Stewart! But, I needn't worry because she was wonderful! She couldn't have been any nicer. She was open to sharing advice with me regarding reaching more parents with children who have diabetes. She even went so far as to say she would do a guest post on me! She didn't have to do anything like that but I am super greatful! So, when you get a second go to www.sixuntilme.com. Her clever writing and her vlogs are super funny and oh, so real! Don't forget to check out the 365 photos. When she spoke at the conference and shared her story about her diabetic life - I laughed, I cried and I loved it! If she comes to speak in your town, go see her! She is great! Bring a cup of coffe because her speech is so comfortable, real and funny that you'll feel like you are sitting with her chatting at Starbucks!! Thanks Kerri for being so super cool! Ok, the second person I would like to introduce does not have anything to do with diabetes. However, she shares a similar journey to us all. She also has difficulty finding sitters she trusts to handle her son's care. She also tries to avoid average loud kid functions with her son. She also sometimes feels held up in her house while she manages the day to day activities of her son. Her name is Karla. Her son's name is Jonathon. She writes a blog called www.dynamicmom.com. Together they are amazing. They work so well together that when you see them, it is difficult to distinguish who is actually teaching whom? :0). Let me tell you why. Jonathon has Sensory Processing Disorder. http://dynamicmom.com/what-is-sensory-processing-disorder/. Despite everything that he experiences in a day he truly shines throughout it all! His smile is infectious and Karla and I are convinced he was sent to her straight from God to help her understand her world, his world, and the thousands of people out there with their shared world! Without even knowing it, he helps guide her through her days to help parents and children all over the world support each other through their common journey. To do this she writes a blog called www.dynamicmom.com! Her truthful way she expresses their life is something with which we all can relate. She is honest, open and vulnerable in her posts because she knows she is not alone in her feelings. 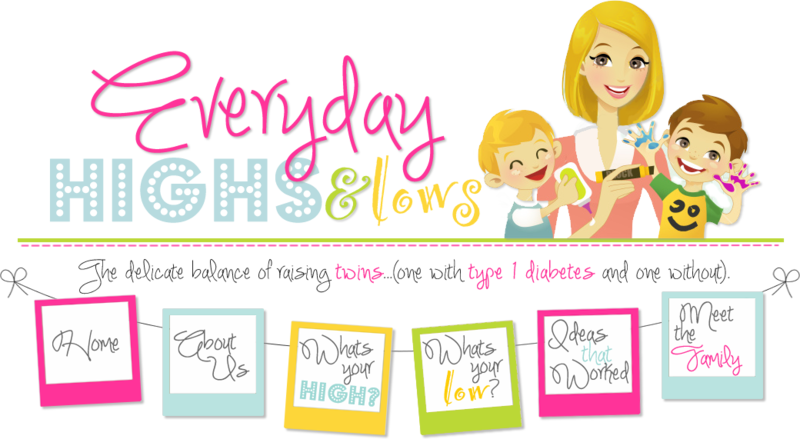 Through her blog she connects moms handling all types of special needs. But even if your child doesn't have special needs, feel free to take a look through her blog! I am positive you can relate to her story. She is one Dynamic Mom! I am blessed to call her my friend! Looking forward to posting tomorrow about "One Great Thing" that we do well while caring for Rocco's diabetes. See you all tomorrow.